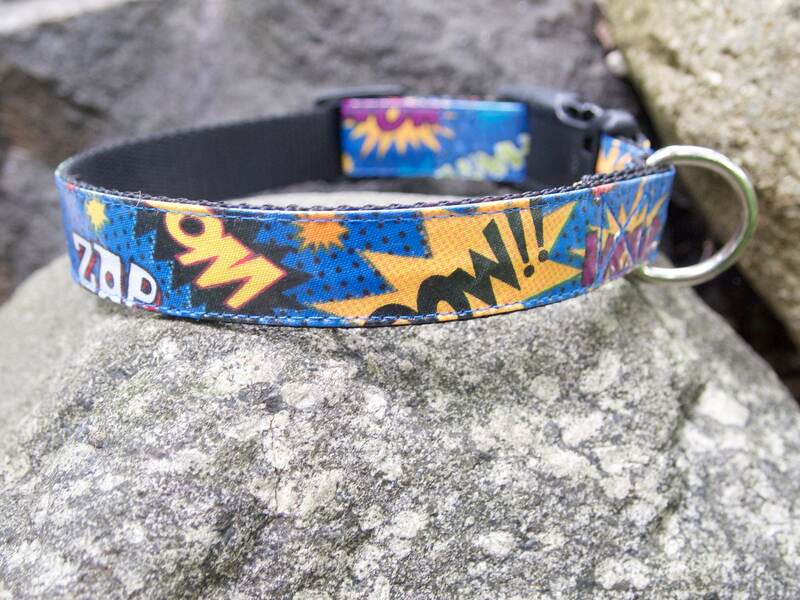 Comic Words dog collar - Pow! 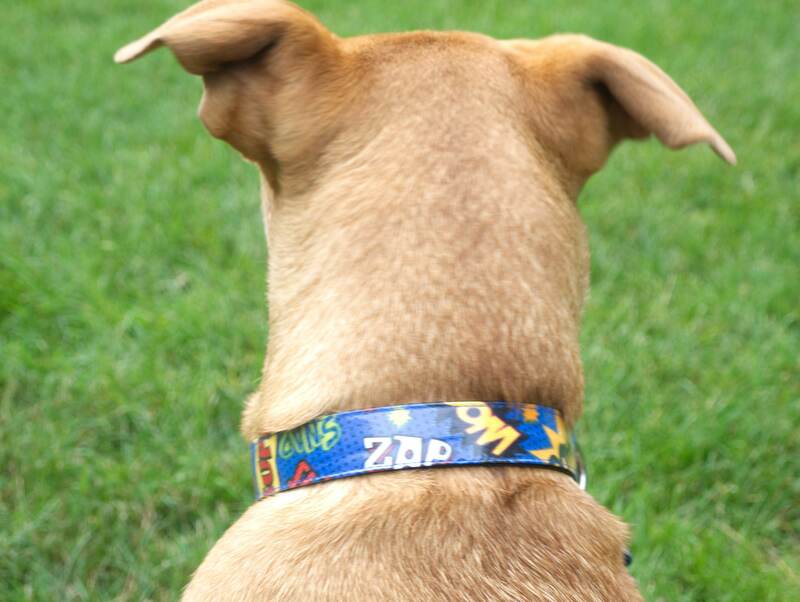 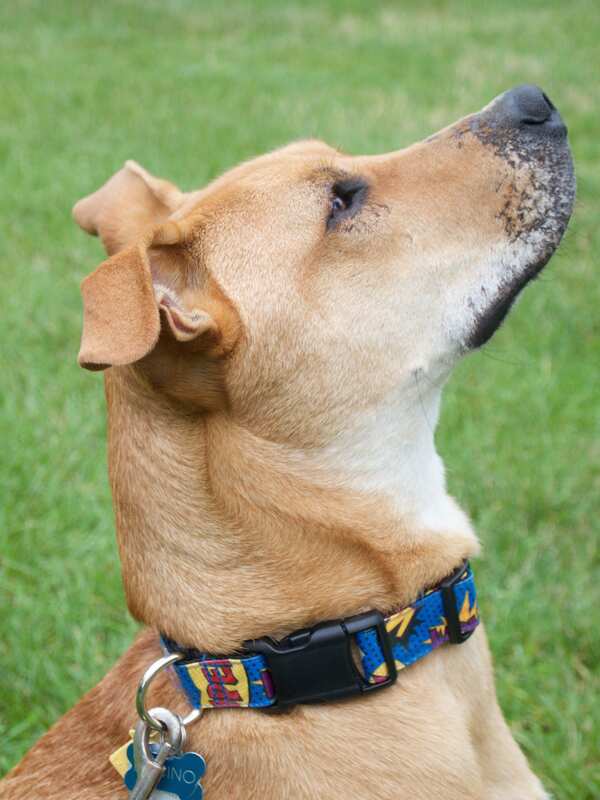 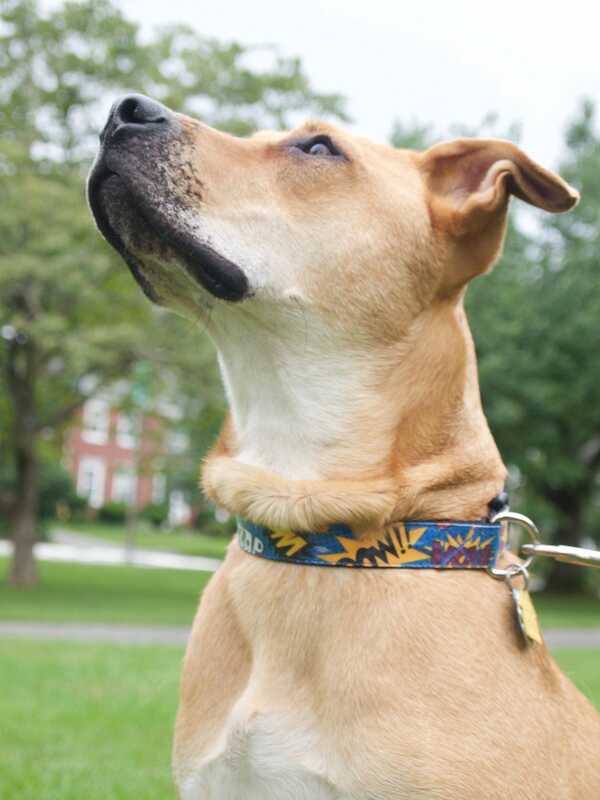 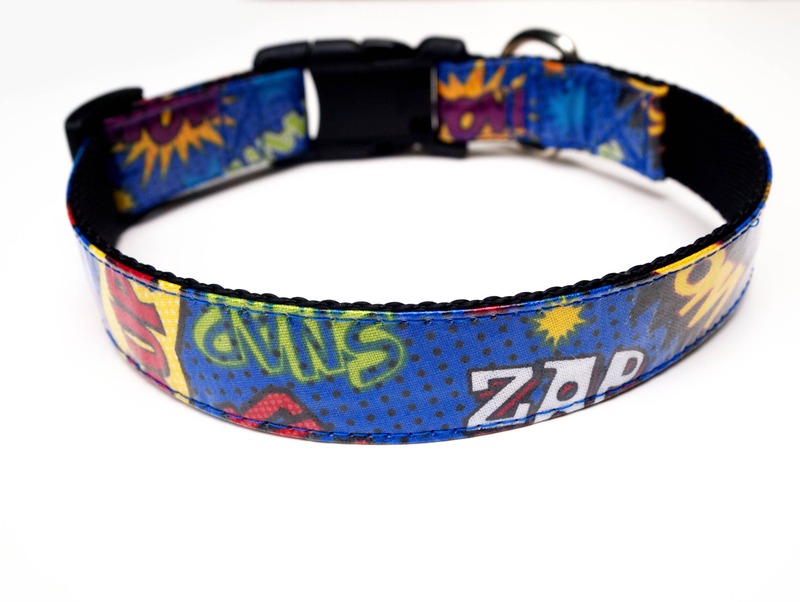 This comic word dog collar will show off your dog's bright personality! 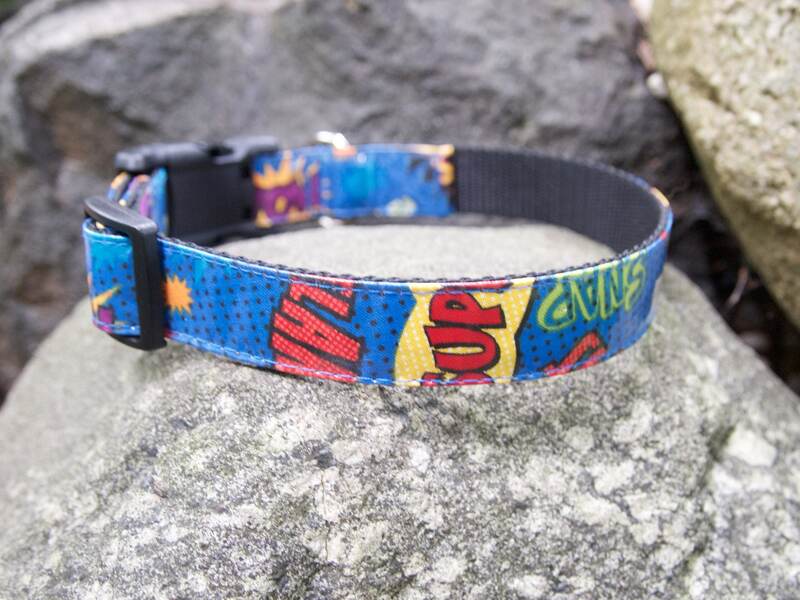 Comic word fabric is sewn onto strong 1 inch wide nylon webbing. 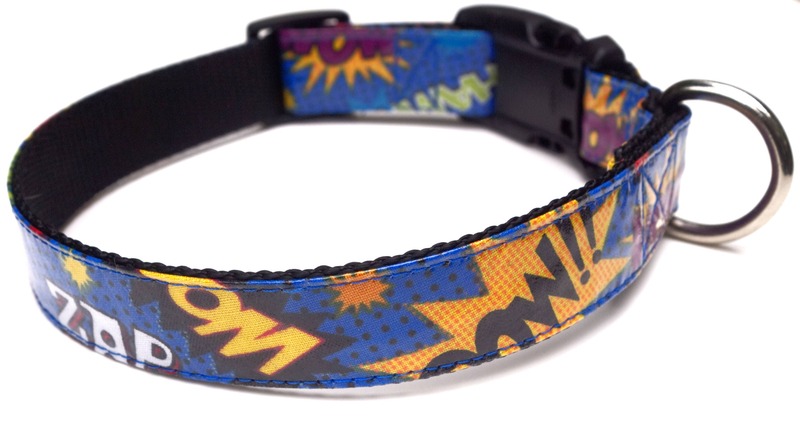 Ends of webbing have been melted to prevent fraying. 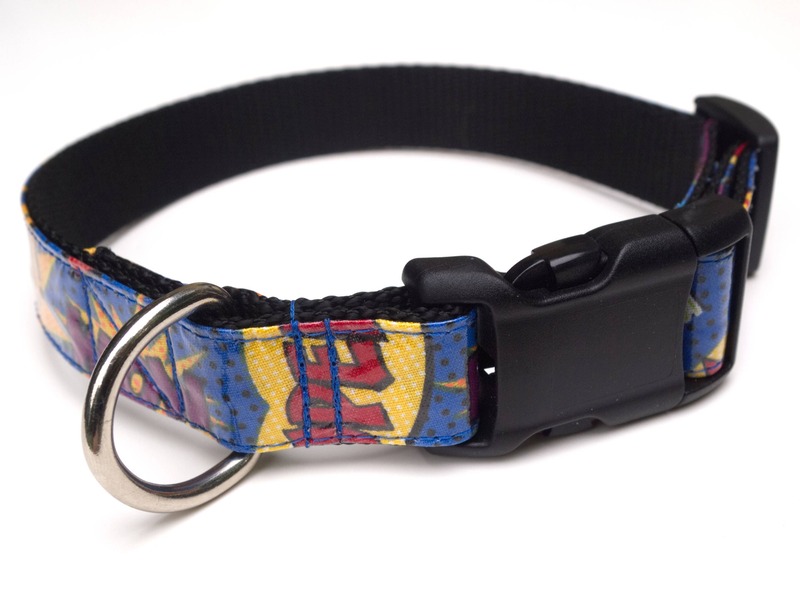 This is a MEDIUM size collar and extends to 18 inches using the trip-glid slide. 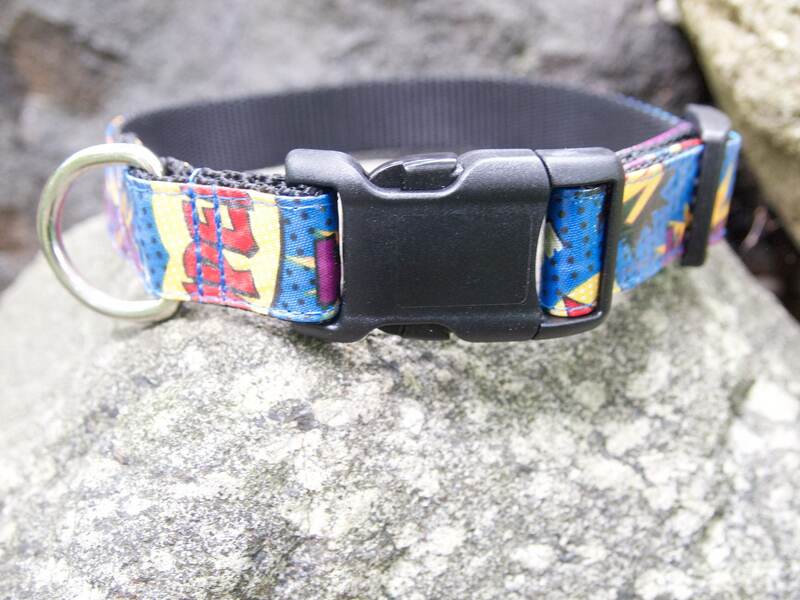 Strong contour side release buckle and d-ring completes this handsome collar. 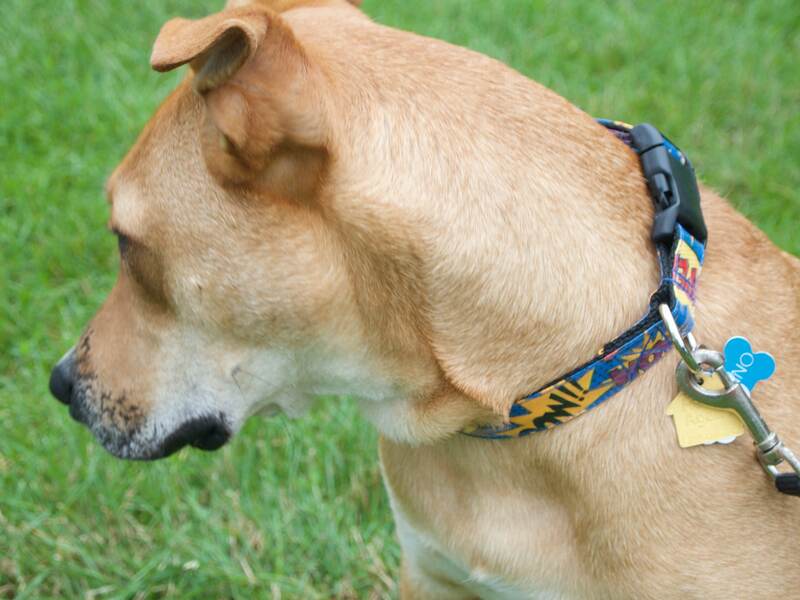 Placement of fabric may vary.